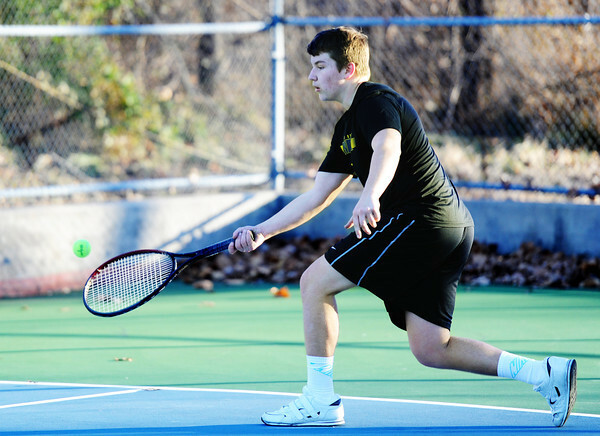 Dressed in shorts, Tyler Shurley, 15, of Shawnee, Kan., returns a serve to his father, Dan Shurley, as they enjoy the warmer weather over a game of tennis Friday afternoon at Leonard Park in Joplin. The Shurleys are in town for the holidays visiting family. "You have to take advantage of a nice sunny day on Dec. 27," Dan Shurley said of their park visit.